At Grove the 25th , fruit trees line streets that bear their name, springtime is fragrant with blossoms, and in summer, leafy, fruit-laden branches cast their shade on community paths. A dazzling display of solar-powered trees lights the entrance to the community, a symbol of The Orchards' innovative, sustainable design. The Residents Association provides a private space where neighbours can enjoy year-round outdoor amenities, including a playground, basketball court, skating rink and toboggan hill. Future plans include a Community Centre and a spray park set to open in 2017. You can also look forward to a New K-9 school, slated to open in 2017. 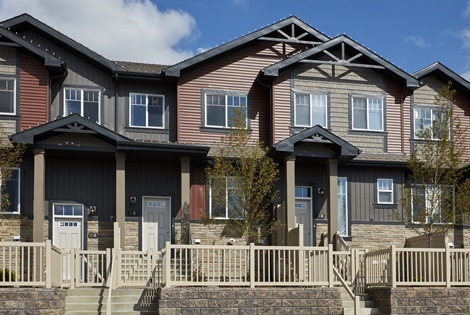 Just south of Ellerslie Road in southeast Edmonton, The Orchards is just a 20-minute drive from Downtown and West Edmonton Mall, and only minutes away from Anthony Henday Drive. Nearby, you'll find grocery stores, restaurants, dry cleaners, banks, and other amenities that make daily errands easy. Go on, branch out and explore Grove on 25th - it's the perfect place to grow.